Public parking available. Hotel parking available based on availability. 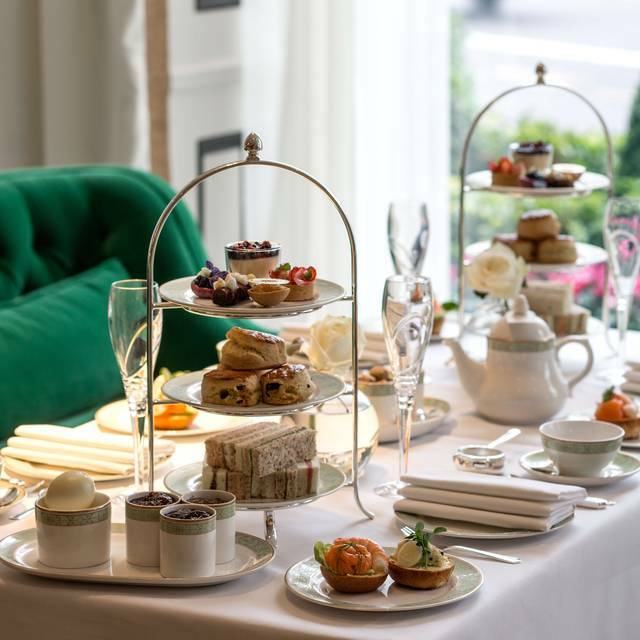 Offering the ultimate in British elegance, the Park Room brings a distinguished Afternoon Tea experience to the 5-star Grosvenor House Hotel. 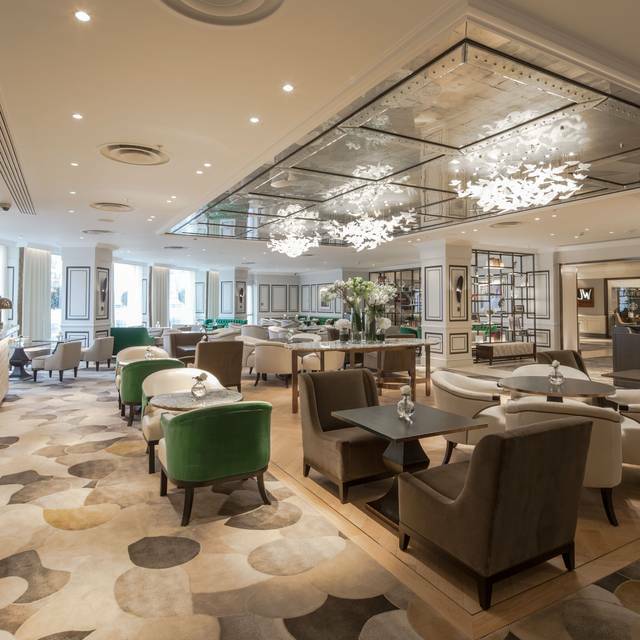 With a contemporary design, the newly opened Park Room offers a tranquil setting to relax away from busy London life. With beautiful views overlooking the Royal Hyde Park, Park Room offers a seasonal twist on a traditional Afternoon Tea experience with delicate pastries hand crafted by Executive Pastry Chef, Dale DeSimone. A selection of Newby teas compliment the new Afternoon Tea alongside the option of a glass of Ruinart Champagne. An eclectic cocktail menu sets the scene for a classy evening in the Park Room, with cocktails inspired by the Park Room’s close proximity to Hyde Park, infusing natural botanicals and tea themed cocktails paired with gin and Champagne. Champagne has been the wine of celebration and consolation for centuries. Until the mid-19th century, Champagne was quite sweet, for reasons of commercial expediency. To meet the increasing demand, the Champagne houses added a high dose of sugared liqueur to the liquid, so that they would be drinkable within twelve months of harvest. But by the 1860's, a few houses had begun to label their wines "dry" in response to a new trend, forested by the British, towards a drier and more mature type of Champagne. There is more complexity to Champagne than we are aware of. In this menu, vintage Champagne takes on a new meaning and we are privileged to take you back to 1982 to discover some of the rare and unique vintages available up until the present day. Quote: A Drinking Song by William Butler Yeats, 1910. "Wine comes in at the mouth And love comes in at the eye; That's all we shall know for truth Before we grow old and die. 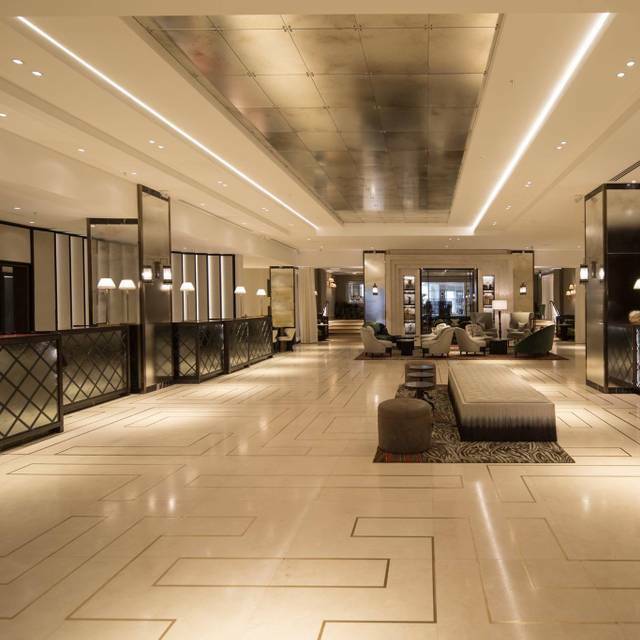 I lift the glass to my mouth, I look at you, and I sigh"
In 1732, a substantial detached house was built on Park Lane which nearly eighty years later was to become the iconic Grosvenor House. Only three years earlier in 1729, Maison Ruinart became the first Champagne house to be established, drawing its inspiration from the intuition of a monk well ahead of his time, Dom Thierry Ruinart. If the culture of Champagne is an art, then the culture of Maison Ruinart is undoubtedly to glorify it. Since its creation, the House has created exceptional Champagnes which are characterized by an inimitable purity, luminosity and elegance. Through the golden thread of the "Ruinart Taste", Chardonnay is an ingredient to be found in all its cuvées – from R de Ruinart, to its ultimate expression Dom Ruinart, through the emblematic Blanc de Blancs made exclusively of Chardonnay. Like an uncut diamond, this delicate and markedly vivacious grape variety infuses Ruinart Champagnes with its brilliance. Ruinart is the symbol of "savoir-faire" and an "art de vivre". All its philosophy circles around a true seeking for everything good and beautiful, favoring fine and elegant, light and sophisticated, delicate and with a rare taste. 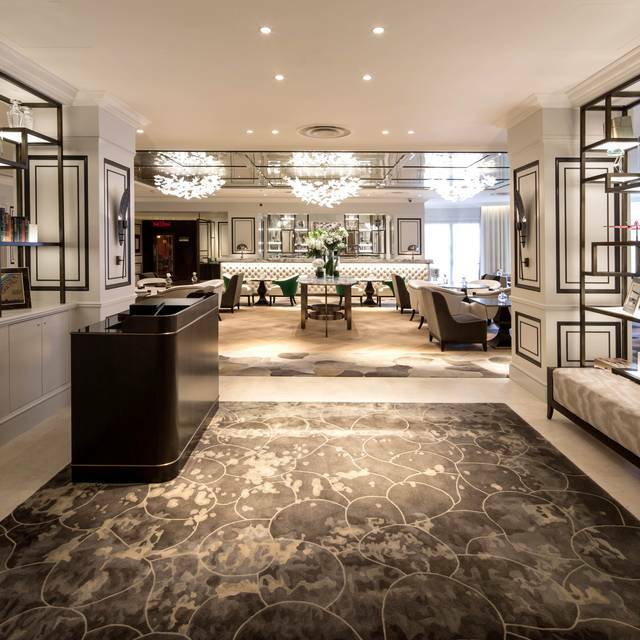 Following the Marriott Culture that "success is never final" the Park Room at Grosvenor House embarks on its new chapter and Maison Ruinart is delighted to have been selected as lead Champagne partner. Now, with nearly 600 years of combined history and heritage, all that remains is to place your order for either Brut, Rosé, Blanc de Blancs or Dom Ruinart, sit back and enjoy! For 258 years, the House of Lanson and its expert winemakers have been crafting fine champagne using the traditional method. Family run, and one of the oldest existing Champagne Houses, Lanson has carefully perfected its art, resulting in an impressive and diverse range of quality Champagnes. Passed down from generation to generation our long-standing traditions, including ageing for at least 3 years, ensures every bottle is aged gracefully and shows the unique Champagne Lanson style. All this waiting certainly pays off as every bottle is crisp, fresh and zesty, with exceptional fruit purity and a perfect start to any occasion, from your aperitif to the end of the evening. Champagne Lanson is a proud Royal Warrant Holder, a position it has held since 1901, and continues to be a supplier to the British Royal Household to this day. The House of Lanson is one of a select few Champagne Houses to possess a truly impressive collection of fine vintage champagnes. Each coveted bottle has been carefully crafted by the Chef de Caves, whose passion and devotion complements the classical blending techniques of preceding generations. The marriage of the finest selection of grapes from a single year, each Lanson Vintage Brut is the epitome of true craftsmanship and reflects the House's perpetual quest for excellence. "We are fortunate to have such a wonderful collection of vintages and I am honoured to be responsible for their production. I continue to use the blending techniques passed on to me by previous generations. Each Lanson Vintage Brut is a work of art, blended with passion and devotion. They are the fruit of a perpetual quest for excellence, an outstanding commitment by the men and women of the House of Lanson"
Lovely afternoon tea! They even accommodated my toddler! I took my Mum to the Park Room to celebrate my 50th and for an early Mother's Day tea. The ladies on Reception were lovely, one especially took a lot of time to give us the best table she could by the window and one with a comfortable chair for my Mum. The food was fresh, tasty and plentiful, the tea flowed and we just had a lovely afternoon. A fantastic way to celebrate in civilised style. All the staff were courteous and professional. Nothing not to like! Sandwiches were stale, service was terrible and cakes not as listed on kid’s menu. Really fantastic afternoon tea. Beautiful room, with elegant tables, friendly attentive staff, and an excellent pianist. We ordered the afternoon tea with bottomless champagne. They explained the champagne would be poured for 1.5 hours, but we kind of expected to have to attract attention for top ups, or that they would be rather infrequent. But it really was free-flowing! No sooner was the glass half empty than it was topped up. In the meantime the food - sandwiches, open sandwiches, scones and cream with a choice of jams, and finally cakes - were beautifully presented and delicious; again we could have more if we wished. There was a wide range of choices for the tea itself, but we went for the house blend, and this too was refreshed as required. Once the 1.5 hours were over we had had an elephant's sufficiency, and thought we would leave once we had finished our last glasses. However, they actually kept topping them up until beyond 2 hours, when we finally thought we really must leave as had a train to catch! Highly recommended and we will certainly return. Delicious scones and sandwiches - the cakes were not as tasty as they looked and they only gave 1 of each design so hard to break the little cakes between 2 people. The sandwiches were unlimited and they came round with open sandwiches and the jams are just heaven especially the rose petal one- this was one of my fave places for afternoon tea would definitely come back! The ambiance is rather posh, lots a ladies pre-post-shopping and the afternoon tea feels a tad pretentious. Tea leaves are left to infuse in the teapot and as a result tea becomes bitter after the 1st cup. The service is nice however not caring more than strictly necessary. The live piano is a very nice touch. Overall nice refined tea place but feels uptight and little pricey. Amazing experience. Absolutely loved the food and the service. It is not cheap but well worth the price as you get more than enough to eat with tons of variety and skillful works of art. 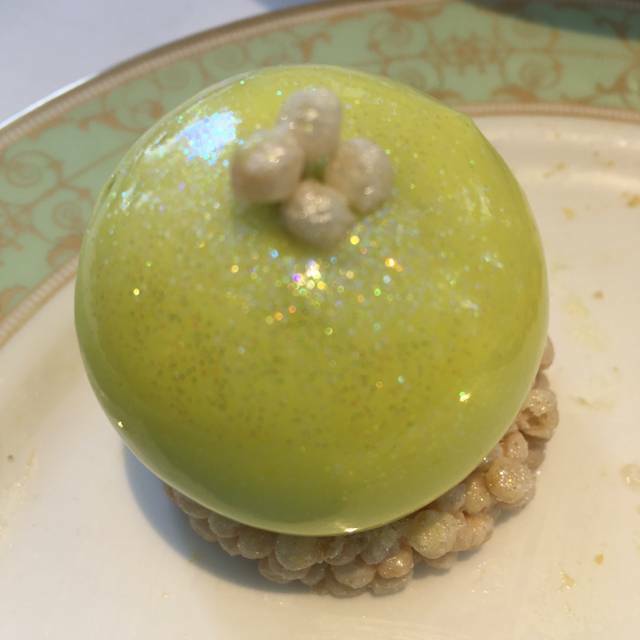 Especially the desserts...they are the stars of the afternoon tea. Amazing. I love that this place is not packed and a little out of the way of the hustle and bustle. I highly recommend this place to experience a full British afternoon tea service. 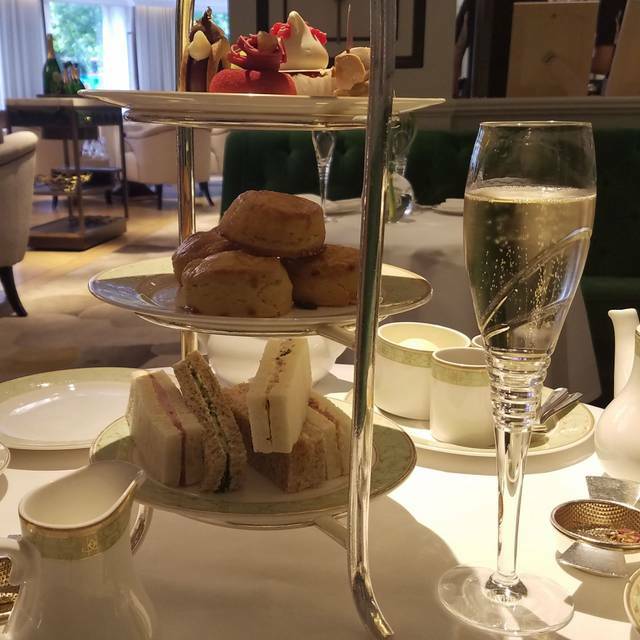 Visiting London for the first time and the Park room was one of two Afternoon Tea reservations in London, we were also staying at the JW Marriott. Overall quality of food was good, however we found the finger sandwiches were more outstanding at F & M, both in size and quality of bread. Our biggest disappointment was the fact that we did not get much service one our pot of tea and Afternoon Tea3 Tiered rack was served. We finished our finger sandwiches (no smoked salmon or egg salad as listed on the Royal Wedding Afternoon menu) and 2 scones each (Raisin and plain, and which by the way, surpassed our expectations); we were then left in the cold with not much of any service ( no one came to ask how things were nor were we offered additional pots of tea). We chatted for a while and finally decided to alert one of the servers for more tea and also an extra helping of scones ( one for each of us). It was acknowledge and then 2 new pots of tea arrived. It then went downhill and our scones didnt show up after almost 1/2 hour. Then the table next to us was occupied by one young lady who also ordered the Afteroon tea and her full rack of pastries came with 10 minutes. It was then we knew our scones order was overlooked. In addition we saw the table to our left being served with smoked salmon and egg salad open sandwiches. 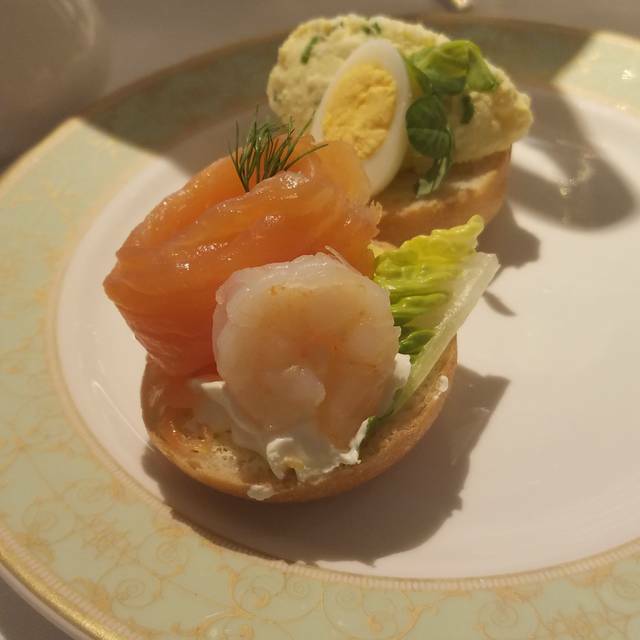 We then alerted the server with whom confirmed that the smokes salmon and egg salad open sandwiches are both part of the Afternoon Tea set. The server (Mercedes) was very apologetic and within 5 minutes or so The open sandwiches came and in another 5 minutes the scones came, with 2 pots of warm tea. Mercedes came and checked on us a couple more times and also offered fresh tea cups and saucers for us.We finished our afternoon tea 2-1/2 hours after 1:30 pm (not planned to be that long) and we were sent away with some left over pastries and a piece of cheesecake. 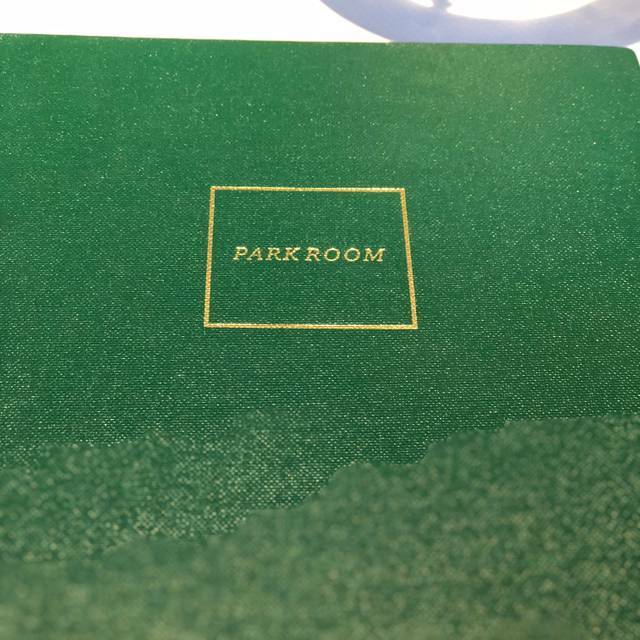 Apart from the service oversight, Park Room is highly recommended. I picked this location after reading several reviews for a surprise for my partner. Neither of us were disappointed not just with the food but the overall experience of Afternoon Tea in its surroundings and the great service. My partner said she book again the next time we visit London. Wonderful service, very attentive staff, excellent food. The best afternoon tea I’ve had, with plenty of free flowing champagne! It was a birthday treat so we had the flowing champagne for 1&1/2 hours. Excellent high tea - sandwiches, scones and cakes all scrumptious. Teas and champers also exquisite. Service a tad slow but our waitress was really sweet. All in all a memorable outing. We went for my mother’s birthday and had such a lovely afternoon. Thoroughly spoilt and well looked after. We had a lovely afternoon tea to celebrate my Mums 70th Birthday. The food was amazing and the staff were lovely. Absolutely fantastic afternoon tea, Very attentive staff... nothing was too much.... sandwiches devine... I had my American Friend over... so the absolute quintessential British thing to do... Thank you to Lydia who looked after us!! We had a lovely time, nice tea, scones and sandwiches. Once again a unique experience in sumptuous surroundings . Celebrating a 25th Birthday with a group of friends in the lovely atmosphere of Grosvenor House Hotel. We were treated wonderfully and the team were more than accommodating to our needs. We opted for the champagne free flowing afternoon tea and the setting is certainly very impressive. We had a lovely welcome and the menu was explained and presented well. The table was dressed very well and it felt cosy yet opulent. The afternoon selection was a good variety - although slightly skimpy on the sandwich selection. The scones were gorgeous - melt in the mouth! The only downside was the service - although I think this very much depended on who your waiter/ress was. After being initially served quite quickly and served 2 glasses of champagne in quick succession our waitress disappeared. She was very attentive. We then only got served again if we requested another glass or if someone happened to be passing. On 2 occasions we were waiting with empty glasses for at least ten minutes. One time when I asked for a top -up we were told that it would be the last top up -even though we still had half an hour left of the 1.5 hours! As I said I think it very much depended on the waiter as we saw 2 other tables who were constantly topped up with both sandwiches and drink. All in all it was a lovely occasion - but we did feel as if it wasn't such great value because of the service. Booked a table for afternoon tea at last minute. We were greeted quickly at the reception, and ordering food was simple. The teas and the sandwiches were good. The scones were a little flat for some reasons. Services could also be better: took some effort to find out that we could have more sandwiches than those on the tower, and our cakes were only offered when we wanted to go. Lovely placd for tea. Good for veggie and halal options. Horrible experience! The food was of a sub-par quality as well as the service. Fantastic dining experience with delicious sandwiches, clotted cream and jam scones, delicate cakes and a range of teas served by wonderful attentive staff. Would thoroughly recommend. Staff were very friendly and accommodating. We requested a halal menu and had our sandwiches and desserts refilled when requested. The ambience was very relaxing and classy. Everything about it was beautiful - was my daughters 8th birthday treat & they were so kind to her & her friend. Played happy Birthday on the piano & bought some macaroons with a candle. Staff were incredible, couldn’t fault them. Fabulous and friendly service. We had two toddlers with us and they we're still very welcoming. Lovely afternoon tea. Would highly recommend it. 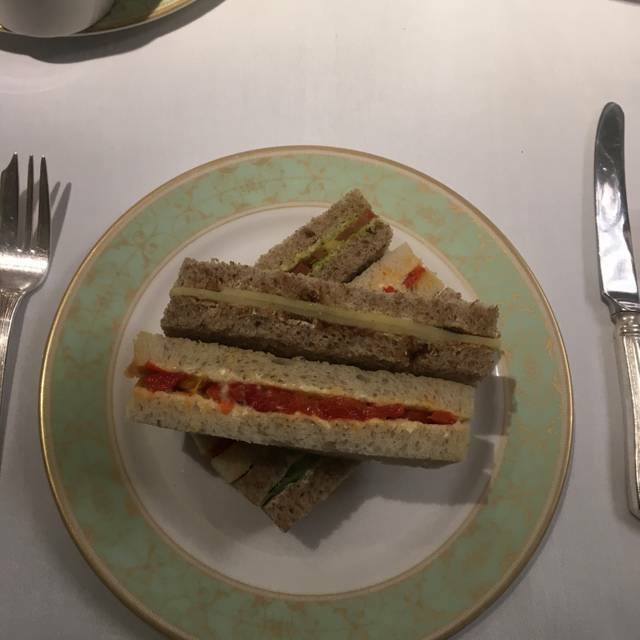 We were booked for Champagne Afternoon Tea, unfortunately I didn't look at the sandwich selection before arriving on the day. There were a lot of flavours ( mustard, tarragon, mint and cucumber) that I do not like . I mentioned this to the waitress and she arranged to have these ingredients left out. It took longer for our afternoon tea to be ready but what service! Nothing was too much trouble for either the kitchen or the waiting staff. Making our visit very enjoyable. Good food and classy. We enjoyed our time there. Helpful staffs and good tea and food. Table was not ready on turning up had to sit outside for five minutes, whilst there were empty tables inside. As we were not drinking alcohol we seemed to be left alone ,ignored compared to other tables not asked if we would like more scones or cakes. Although an enjoyable experience felt we were not treated as well as the alcohol drinkers.